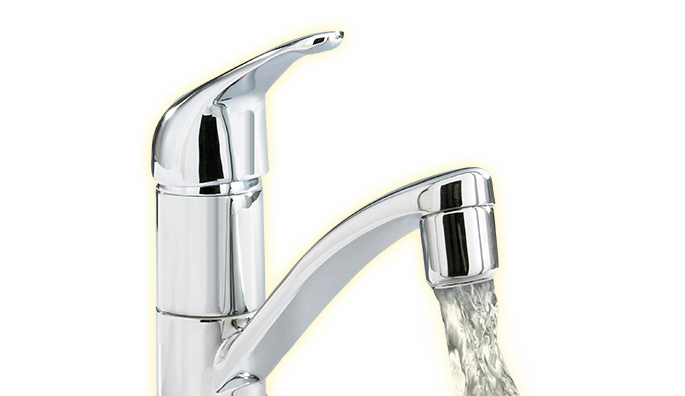 We as people trust that tap water is potable. Not only at home, but on the go as well. We think that’s how it’s supposed to be. However, a lot of attention must be paid to hygiene to guarantee that safety at all times in the potable water chain of producing, storing, distribution, and tapping. Our reliable UV disinfection systems form an important part of a hygienic potable water process. You can find our systems at production locations, oil platforms, ships, in trains, in buildings with their own buffer basements, and in the food industry. Our systems guarantee microbiological disinfection, but are also demonstrably efficient, sustainable, and have a low maintenance need. That is how the quality of the water increases and where costs effectively are controlled. Along with UV-disinfection, we are specialised in advanced oxidation. This technique where UV radiation is combined with peroxide or ozone, is used more often in the chain of preparing potable water. For example for removing stubborn micro pollutions such as medicine residue, antibiotics, and pesticides.